The Minister of Sports, Barr. 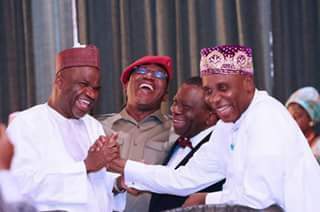 Solomon Selcap Dalung and Minister of transportation Mr Rotimi Chibuike Amaechi laughing out loud. The picture was taken during last week FEC meeting. What's the best caption for the picture.